African American stevedores in an undated photo during World War I. African American supply and services units provided a great amount of labor for the arriving American Expeditionary Forces in France in 1917-18. They would be joined by the African American 369th Infantry Regiment, formerly the National Guard’s 15th New York Infantry. The 369th arrived in France in December 1917 and initially served as a labor force to improve the port of St. Nazaire, France for follow on forces. The infantry regiment would not move on to prepare for combat operations until March 1918. When the African American National Guard Soldiers of New York’s 15th Infantry Regiment arrived in France in December 1917, they expected to conduct combat training and enter the trenches of the Western Front right away. The black troops were ordered to unload supply ships at the docks for their first months in France, joining the mass of supply troops known as stevedores, working long hours in the port at St. Nazaire. 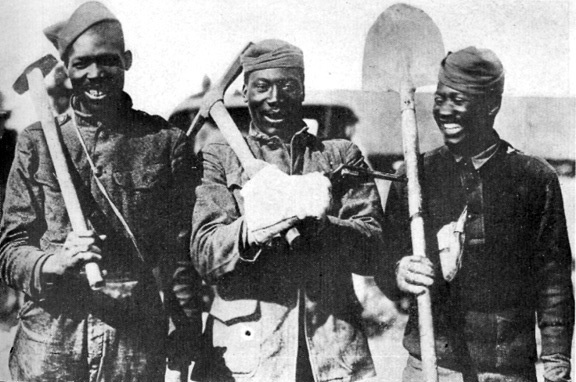 More than 380,000 African Americans served in the Army during World War I, according to the National Archives. 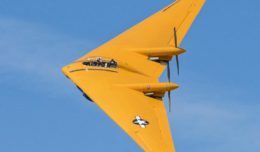 Approximately 200,000 of these were sent to Europe. But more than half of those who deployed were assigned to labor and stevedore battalions, assigned to tasks that many Army leaders saw as most appropriate. These troops performed essential duties for the American Expeditionary Force, building roads, bridges, and trenches in support of the front-line battles. In St. Nazaire, the New York National Guard Soldiers learned they would work to prepare the docks and rail lines to be a major port of entry for the hundreds of thousands of forces yet to arrive in France. 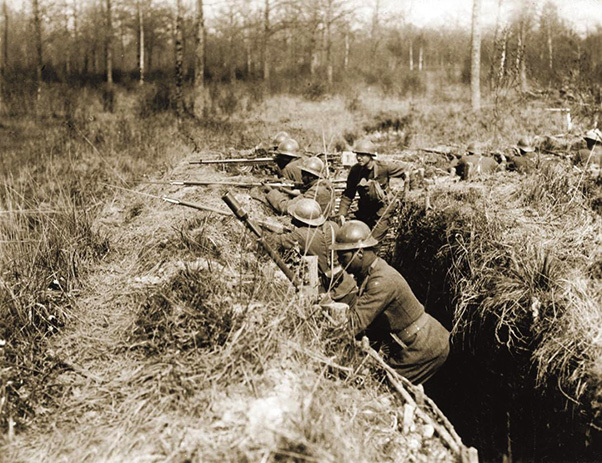 U.S. Army African American Soldiers of the 369th Infantry Regiment learn from French mentors in trench warfare in an undated photo during World War I. The 369th Infantry, an all-Black combat unit, served with distinction under French command in World War I and received the nickname ‘Hell Fighters of Harlem’ from their German enemies. But officers, leaders and the combat Soldiers had not signed up for labor. They were committed to fighting the Germans and winning the war. The regiment’s best advocate was their commander, Col. William Hayward. “We had come to France as combat troops, and, apparently, we were in danger of becoming labor troops,” Hayward said. Hayward argued his case in a letter to General Pershing, outlining the regiments’ mobilization and training, and followed up immediately with a personal visit to Pershing’s headquarters. He would bring with him the regiment’s most formidable weapon in swaying opinion: the regimental band, lauded as one of the finest in the entire Expeditionary Force. 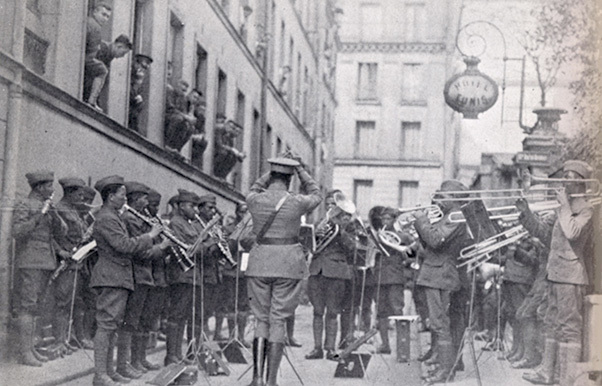 Soldier-Musicians of the African American 369th Infantry Regimental Band conduct a performance in France for troops somewhere in France in an undated Army Signal Corps photo. The 369th Regimental Band is credited with introducing jazz to Europe during their performances as ambassadors of the all-Black infantry troops serving in the redesignated National Guard’s 15th New York Infantry. The 369th arrived in France in December 1917 and initially served as a labor force to improve the port of St. Nazaire, France for follow on forces. The infantry regiment would not move on to prepare for combat operations until March 1918. The 369th Infantry, an all-black combat unit, served with distinction under French command in World War I and received the nickname ‘Hell Fighters of Harlem’ from their German enemies. While the regiment literally laid the tracks for the arrival of the two million troops deploying to France, the regimental band toured the region, performing for French and American audiences at rest centers and hospitals. The 369th Band was unlike any other performance audiences had seen or heard before, noted Harris. The regimental band is credited with introducing jazz music to France during the war. “And then came the fireworks,” said Sgt. Noble Sissle, band vocalist and organizer, in the Harris account, as the 369th Band would play as if they were in a jazz club back in Harlem. After some three months of labor constructing nearby railways to move supplies forward, the Soldiers learned that they had orders to join the French 16th Division for three weeks of combat training. They also learned they had a new regimental number as the now-renamed 369th Infantry Regiment. Not that it mattered much to the Soldiers; they still carried their nickname from New York, the Black Rattlers, and carried their regimental flag of the 15th New York Infantry everywhere they went in France. 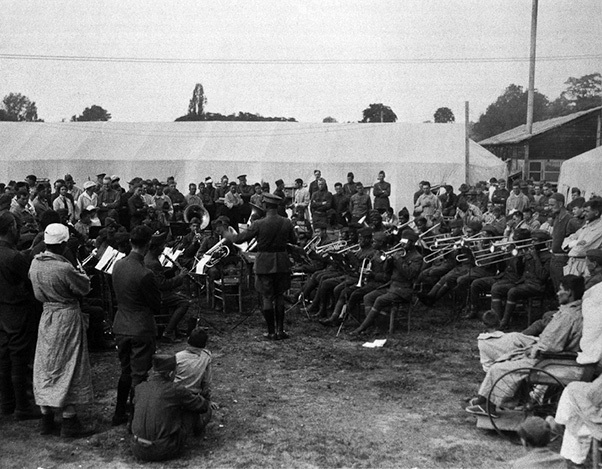 African American band leader and composer James Reese Europe and the 369th Regimental Band perform at the American Red Cross Hospital Number 5 in 1918 in Paris, France in an undated Army Signal Corps photo. The 369th Regimental Band is credited with introducing jazz to Europe during their performances as ambassadors of the all-Black infantry troops serving in the re-designated National Guard’s 15th New York Infantry. The 369th Infantry, an all-black combat unit, served with distinction under French command in World War I and received the nickname ‘Hell Fighters of Harlem’ from their German enemies. While the 369th Infantry would become part of the U.S. Army’s 92nd Infantry Division, it would be assigned to fight with French forces. This solved the dilemma for Pershing and the American Expeditionary Forces of what to do with the African-American troops. The black troops would see combat, but alongside French forces, who were already accustomed to the many races and ethnicities already serving in the ranks of their colonial troops. After learning valuable lessons in trench warfare from their French partners, the Soldiers of the 369th finally had their chance to prove their worth as combat troops when they entered the front lines, holding their line against the last German spring offensive near Chateau-Thierry. Their value was not lost on the French, and the regiment continued to fight alongside French forces, participating in the Aisne-Marne counter offensive in the summer of 1918 alongside the French 162nd Infantry Division. The Hell Fighters from Harlem had come into their own, in spite of their difficult start. The regiment would go on to prove itself in combat operations throughout the rest of the war, receiving the French highest honor, the Croix de Guerre, for its unit actions, alongside some 171 individual decorations for heroism. 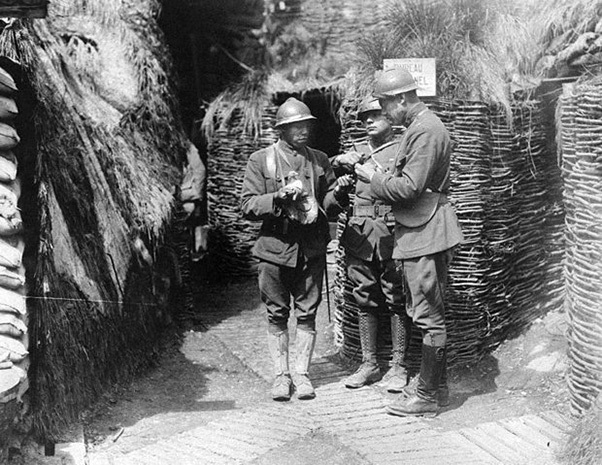 Soldiers of the 369th Infantry Regiment man a trench in France during World War I. The Signal Corps photograph collection includes every major aspect of the U.S. Army involvement in World War I. 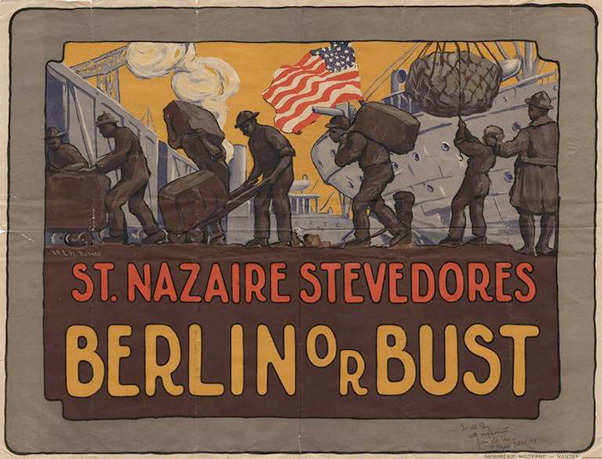 A military poster promoting the work of stevedores at the St. Nazaire port of debarkation for American Expeditionary Forces in France, 1918. The African American 369th Infantry Regiment arrived at St. Nazaire in December 1917 and performed labor duties before their onward integration and training for combat under French command in March 1918.